The Valentine’s Day season is all about love, emotions and… promotions! Whether found at the mall or favorite restaurants, the deals pop up every passing day up until the holiday — especially rampant on Feb. 14 itself. In this guide, learn all of the great spots to find them! This Valentine’s Day will mark the first one in 153 years without the iconic Sweetheart candies on store shelves. The company behind their manufacturing, Necco, will close their doors this year due to bankruptcy. The struggle to keep Necco financially afloat lasted a number of years. With this loss, annual customers are left yearning for the hearts with Valentine’s related messages stamped across them. However, Krispy Kreme launching their Sweethearts-inspired doughnuts on Jan. 30 saves the day. Customers may choose from four different fillings: cake batter, strawberries and kreme, chocolate kreme and raspberry. In the style of Sweetheart candies, messages like “BFF” and “Be Mine” are iced on top. The doughnuts will remain available until Feb. 14, creating an exciting lead-up to the holiday. Costco’s deal includes a variation of colored roses in addition to the classic red, including yellow, white and a bicolor pink and red combination. The bouquet of 50 arrives in two separate bunches of 25, providing an option to separate them into multiple gifts for friends and loved ones. With free delivery, Costco saves customers the hassle that normally comes with hectic Valentine’s Day shopping. The real steal, however, is found in the price. On average, a dozen classic red roses are priced at $20 per dozen, according to Business Insider. At Chili’s restaurants this Valentine’s Day, customers may choose from numerous options for an appetizer to share, two entrees, and even a dessert — whether you choose the cheesecake or chocolate chip cookie skillet — all for the low price of $25. For a three-course meal, at a set price, Chili’s could be a promising Valentine’s Day dinner option. Purchasing heart-shaped boxes of chocolate quite possibly represents the most notable gift associated with Valentine’s Day. At Macy’s department store, however, customers can kill two birds with one stone — at no extra cost. When buying of any Godiva chocolate valuing at $25, a free teddy bear comes along with it. For those in need of a one-stop gift spot, this Macy’s promotion seems ideal. 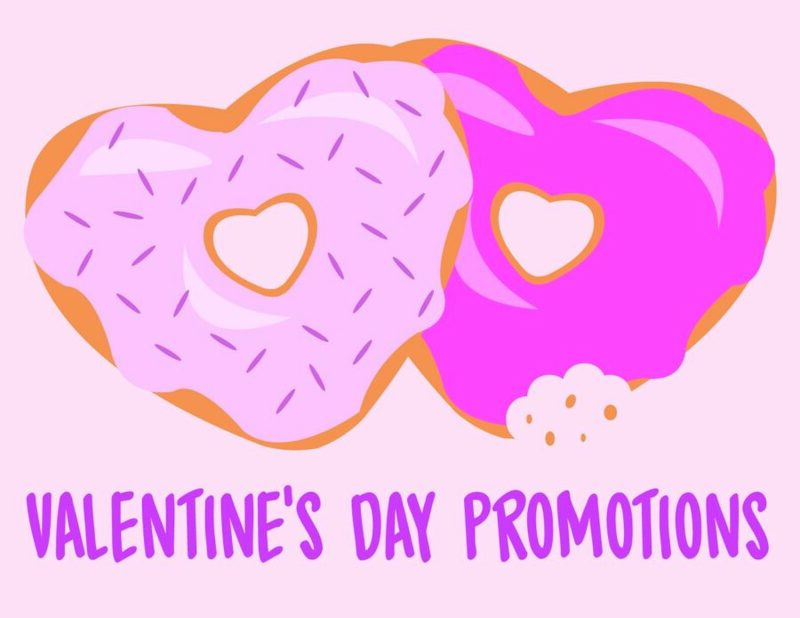 For one day, Valentine’s Day, Auntie Anne’s pretzel chains offer a deal to receive buy one, get one free pretzels in the shape of hearts! Flavors include original as well as cinnamon sugar, and will be served on Feb. 14 only. As the stand is often placed in malls, customers’ Valentine’s Day shopping elsewhere can easily take advantage of this Auntie Anne’s deal.